Do you feel that organic agriculture is a key for a sustainable and fair development in the Mekong region? Do you believe that agroecology is a promising approach to protect people’s health and the environment? 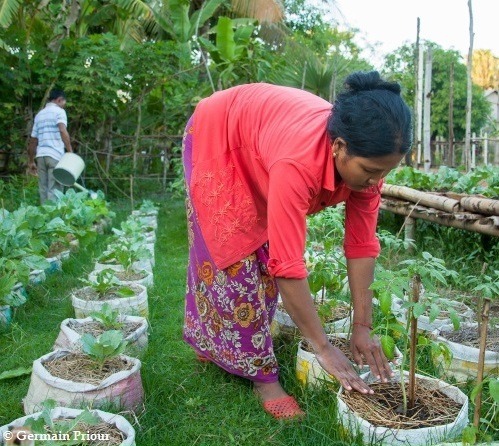 Do you also admire farmers who are developing innovative agroecology initiatives? 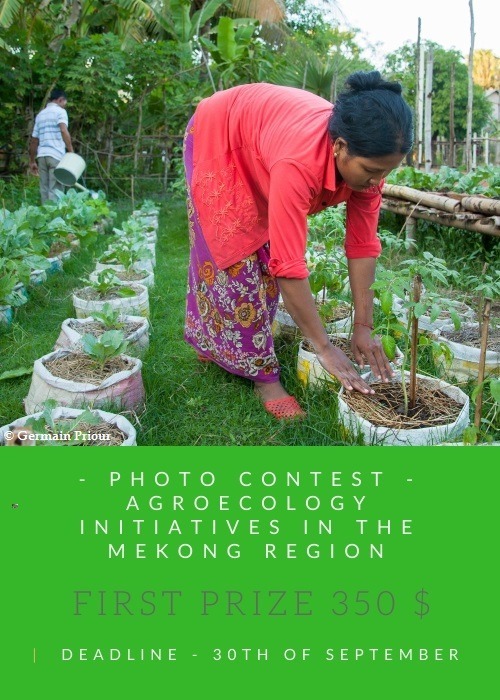 Then, help us to showcase the beauty and the diversity of agroecology initiatives in the Mekong region. Pick one of the many agroecology initiatives implemented by innovative farmers in the region and share with us your best photo from the field. The deadline for submission is the 15th of October 2018. Your photos must be sent to the email address: [email protected]. The 15 best photos will be selected and displayed during the Regional Forum “Agroecology futures” (https://ali-sea.org/), taking place in Siem Reap, in Cambodia, during the week of the 5th of November 2018. Photographers will benefit from a high visibility during the event. Out of the 15 photos of the exhibition, 3 will be elected by the participants during the Regional Forum and will receive Cash Prizes. The first photo will win 350$, the second one 250$ and the third one 150$. With a fast-growing population, increased pressure on natural resources, and climate change impacts becoming more present every day, the Mekong Region is at a crossroads regarding its agriculture development, calling for an important shift towards an agroecological transition. Across the Mekong Region, thousands of innovative farmers have already engaged themselves in an agroecological transition, moving away from conventional and chemical based farming practices.They are developing new and improved practices, building upon both traditional empirical knowledge and scientific research for a better understanding and use of ecological processes operating in farming systems. The Agroecology Learning Alliance in South East Asia (ALiSEA), coordinated by GRET with the financial support of the French Agency for Development (AFD), is an innovative regional platform that networks all initiatives promoting agroecology nationally and regionally in order to form a strong coalition of stakeholders at different levels from farmer organizations, to national and regional research centers, to the private sector. This coalition aims to feed public policy and advocates the wider dissemination of successful alternative agricultural practices amongst famers.